Jessying - Malaysia Beauty Blog - Skin Care reviews, Make Up reviews and latest beauty news in town! : MTV World Stage Is Back with Justin Bieber! MTV World Stage Is Back with Justin Bieber! It’s that time of the year again where MTV World Stage concert is the one that many have been waiting for!!! Finally it's back to our shores and this time, it’s going to be bigger than ever because the best international, regional and local acts will be performing there! Although I did not managed to attend last MTV World Stage, I heard those who went have a rockin’ good time with 30 Seconds to Mars, Pop Shuvit, Neon Trees and Beast. 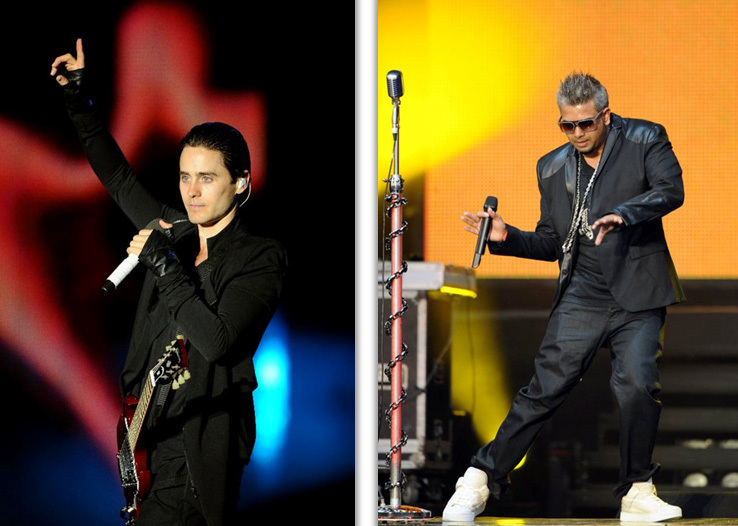 X-plosive performances, X-travagant sets with x-tra excitement on the side made it the best MTV World Stage yet. 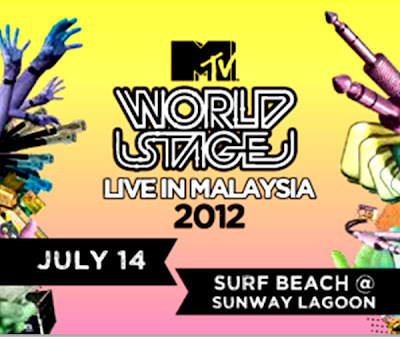 This year MTV World Stage 2012 is happening on 14 July at Surf Beach@Sunway Lagoon! Do you know heartthrobs Justin Bieber will be performing this year!!! Besides that Jay Park, K-Pop queens Kara, and the fierce Miss Nina will be performing at MTV World Stage! So to those who have not get the ticket, good news is that Xpax is you FREE tickets to MTV World Stage: Live in Malaysia 2012 ! Reload RM60 and above to get TWO FREE tickets. • Step 2: Upon receiving registration confirmation SMS, reload RM60 (cumulative) and above to get mobile voucher to redeem TWO FREE tickets. • Limited to TWO tickets per mobile number. • Register and reload must be performed before 10th July 2012. • Mobile voucher must be redeemed by 12 July 2012. • Tickets availability is subject to first come, first serve basis. There’s always cool swag for you when you “Like” them in Facebook. Be a fan of Xpax/U.O.X./S.O.X. on Facebook and you could score tickets to MTV World Stage Live in Malaysia 2012. Starting 26th June 2012, you can log in to the Xpax/U.O.X./S.O.X. Facebook page at www.facebook.com/xpaxfb or www.facebook.com/uoxfb or www.facebook.com/soxfb and use the “Time to Muxic” Facebook app. From 26th June to 8th July, use the app to spread the word about MTV World Stage and share it with as many friends as possible. The more you share, the more points you get and this will affect your ranking in the app’s leaderboard. Be one of the top 25 point-getters and you will win FOUR passes to MTV World Stage!! Then, on 14th July, 12.00am, you can log on to xpax.com.my/timetomuxic on your mobile to check in to the concert and tag your MTV World Stage photos with Xpax by connecting your Facebook account to the site. Each check-in and tagged photo will earn you points that could win you passes to the MTV World Stage after-party. The ten fans with the most points will be getting those exclusive passes! Download selected Call Me Tones and True Tones or Full Songs to stand a chance at getting FREE tickets to MTV World Stage. To Download Call Me Tones: Dial *888*# press CALL. To Download Full Songs: Send FSsong code to 21308. To Download True Tones: Send TTsong code to 21308. You and your friend could be on your way to MTV World Stage for FREE! Join Frencube by dialing *888*219#. Then pose like a superstar and upload the photos to Frencube to stand a chance to win FREE tickets. Just record your voice screaming “I Love Justin Bieber” in the longest and craziest way to get tickets to MTV World Stage Live in Malaysia 2012! Dial *1185 to stand a chance! A Once-in-a-Lifetime Chance to meet Justin Bieber! It’s great to win tickets, but what’s greater is a chance to actually meet Justin Bieber in person! We’re giving you a money-can’t-buy chance to have a meet & greet session with the superstar himself and all you have to do is download his songs “Boyfriend” and “Die in Your Arms” as your Call Me Tones then send them to your friends as gifts. To download, type CMTsongcode and send to 22990 or dial *888*# and press CALL. To send Call Me Tones as a gift, type CMT Giftsongcodefriend’s mobile number and send to 22990. For easy downloading, go to The Cube’s mobile USSD portal by dialing *888*99# or *888# and select MTV World Stage 2012. You could be the extremely lucky one to join an exclusive Meet & Greet Session with Justin Bieber! Never say Never you going to meet him , so try your luck!! So, if you want to be at this year’s MTV World Stage and have an X-citing time, go to xpax.com.my or www.thecube.my now! So are you on next Saturday?